St. Alexander Sauli Pendant. The medal measures 3/4 x 1/2 and is available in Sterling Silver on a 18SS Chain, Gold Filled on a 18GF Chain and 14 Karat Gold - No Chain. 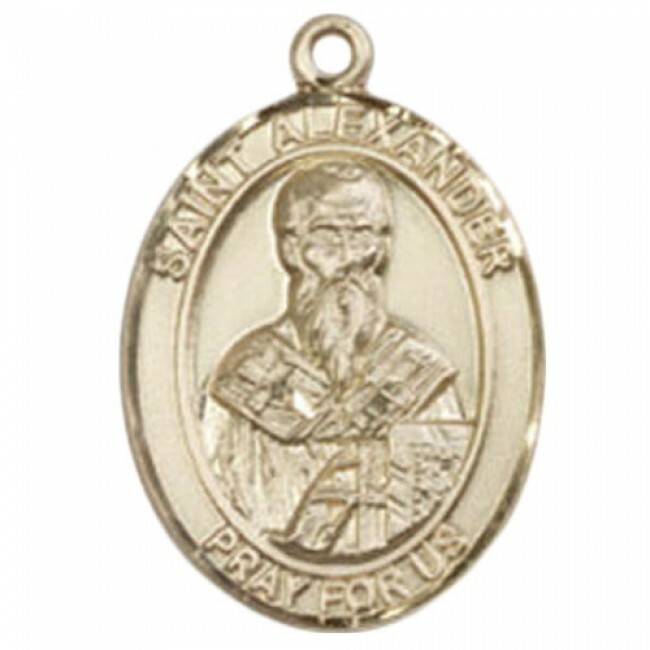 St. Alexander Sauli is the patron saint of Corsica. 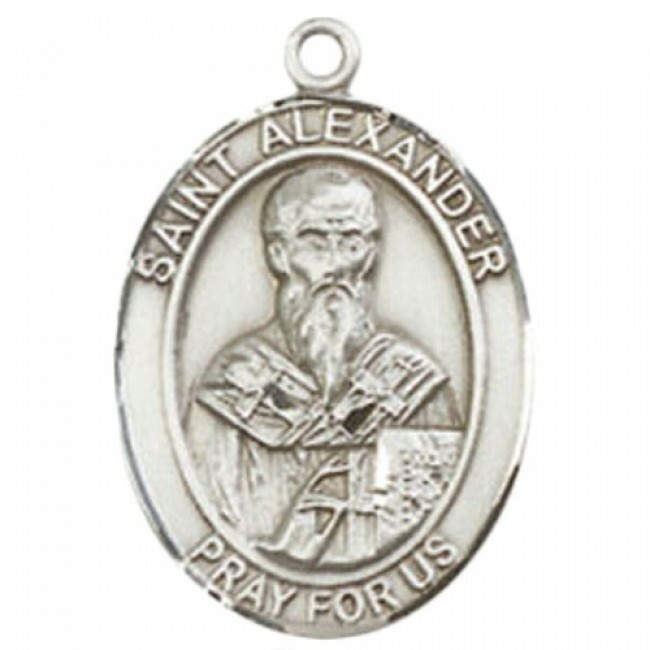 St Alexander came from a prominent family of Lombard, Italy, born in Milan in 1533. At an early age he entered the Barnabite Congregation, and became a teacher. In 1571 he was appointed by Pope Pius V to Aleria on Corsica. 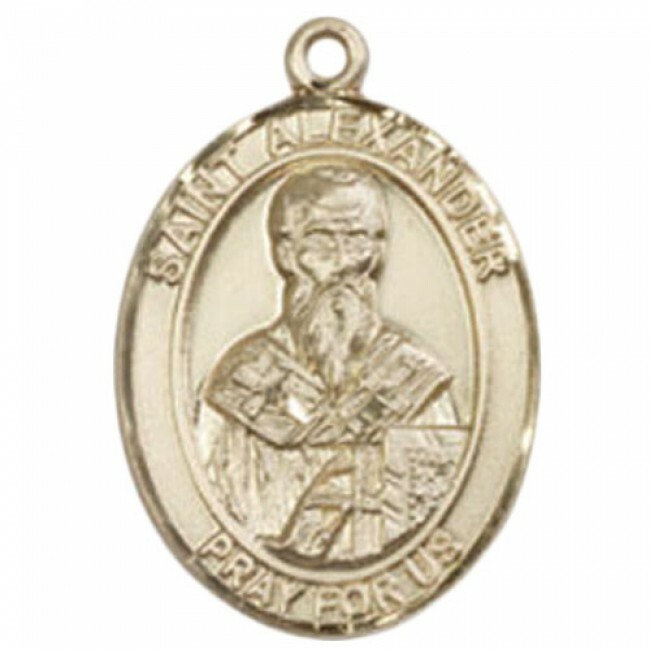 Alexander rebuilt churches, founded seminaries and colleges, and stood off the pirate raids in the area. He became the bishop of Pavia after refusing other sees, serving only a year before his death. Alexander was a noted miracle worker. He was also spiritual advisor to St. Charles Borromeo and to Cardinal Sfondrato, who became Pope Gregory XIV. He was canonized in 1904 by Pope St. Pius X.